A new six-cylinder tractor has been launched at the Royal Highland Show to join the McCormick X7 Pro Drive series and bring a longer wheelbase, tough cast chassis and smooth-running engine further down the power scale. The new McCormick X7.650 Pro Drive joins a range that goes from rated speed outputs of 135hp to 188hp and maxes out at 212hp with Power Plus boost on the top model. The newcomer slots in with 152hp from its 6.7-litre engine at rated speed, climbing to a peak output of 160hp for all operations. The new model is available to order now with the new Efficient specification introduced for the four-cylinder and smallest six-cylinder models in the current range and also in a Premium version with enhanced features and a wider choice of performance-orientated options. When equipped to the new Efficient specification, the new model will also appeal to operators of MTX and XTX tractors of similar size and power, especially as it represents less of a jump in technology and price than the Premium version. The newcomer’s BetaPower engine, built to McCormick specification by FPT Industrial with a highly fuel-efficient SCR emissions control package, develops 152hp at 2200rpm rated speed. But the power curve rises from that point as revs are pulled down under increasing load to a peak of 160hp at 1900rpm, while maximum torque of 676Nm is reached at just 1500rpm. 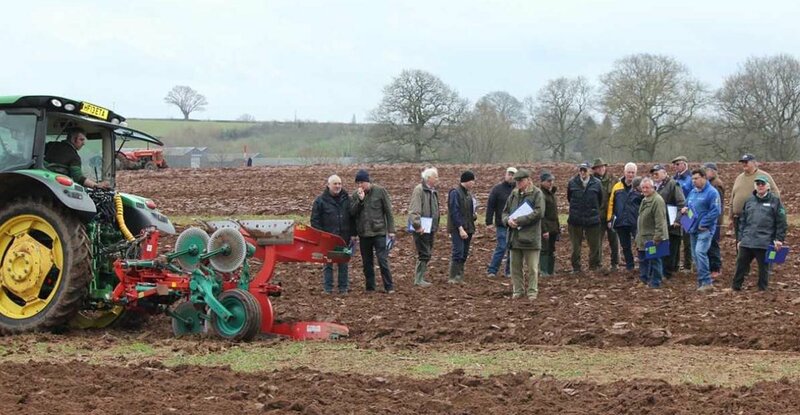 Operators can exploit these characteristics by shifting up to load the engine for maximum power, knowing that increasing reserves of torque are available to pull the tractor through tough areas of soil when ploughing or cultivating, or to climb an incline with trailed or pto-driven equipment. Both versions of the new tractor have four-speed power take-off providing ‘power’ and ‘economy’ gearing to suit different applications, plus the opportunity to fit a 1000rpm pto drive with the optional 3500kg front hitch. The Efficient model is equipped with the 24×24 Pro Drive transmission, which has a justifiable reputation for its smooth operating, response-adjustable power shuttle and push-button four-speed powershift and range shifting. A creep gearbox option – which is standard on the Premium version – adds slower speeds for specialist drilling and other applications. Prices start at £80,971 for the X7.650 Pro Drive Efficient and £85,254 for the Premium version.